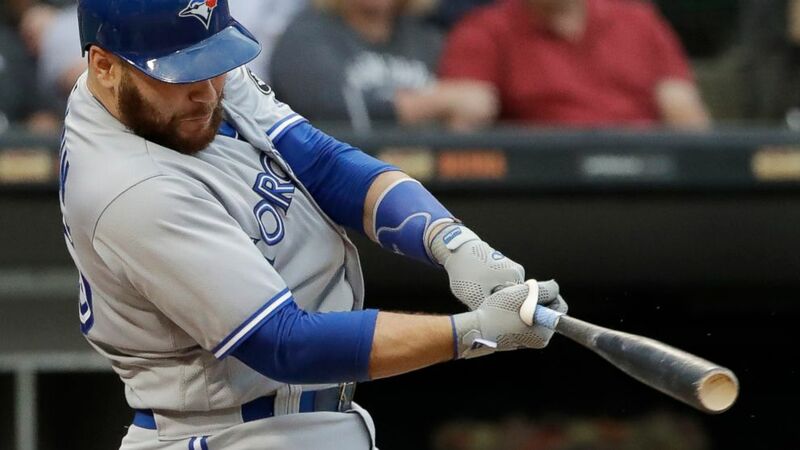 The Los Angeles Dodgers reacquired catcher Russell Martin in a trade with Toronto on Friday, and also reached one-year deals with their seven remaining arbitration-eligible players. The NL champions agreed with Corey Seager, Joc Pederson, Chris Taylor, Enrique Hernandez, Pedro Baez, Josh Fields and Yimi Garcia on 2019 contracts. With catcher Yasmani Grandal leaving for a deal with Milwaukee earlier in the week, the Dodgers had room to bring back Martin. In exchange, the Dodgers sent minor leaguers Andrew Sopko, a right-hander, and Ronny Brito, an infielder, to the Blue Jays. Toronto is sending $16.4 million to offset some of the $20 million Martin is owed in the final season of his contract. A four-time All-Star, Martin was with the Dodgers from 2006-10 and helped lead Los Angeles to three playoff appearances. The 35-year-old Canadian signed with the New York Yankees as a free agent after the 2010 season and spent two seasons in the Bronx before playing two seasons with Pittsburgh and four with Toronto. He started 71 games at catcher and 21 at third base last year, hitting .194 with 10 home runs and 35 RBIs. Martin was a 17th-round pick by the Dodgers in the 2002 amateur draft. They sent a tweet welcoming him back. Overall, Martin’s teams have made the postseason nine times in 13 years. He has caught 1,519 games, including 1,455 starts, which ranks third among active players behind Yadier Molina (1,836) and Brian McCann (1,529). Sopko, 24, is 27-17 with a 3.61 ERA in four seasons. Brito, 19, signed with the Dodgers as an international free agent from the Dominican Republic on July 2, 2015. In three seasons, he has hit .259 with 15 homers and 104 RBIs. Seager was eligible for arbitration for the first time this winter. He played just 26 games before being shut down for Tommy John surgery and arthroscopic hip surgery for a labrum repair. The Dodgers believe the shortstop will be ready for opening day. Pederson proved a solid leadoff hitter, batting .309 but he struggled against left-handed pitching with just nine hits and one homer in 53 at-bats versus southpaws. Taylor started at four different positions last season, including shortstop in Seager’s absence. He had career highs in doubles, triples and walks. Hernandez played every position except catcher in 2018. He struggled at the plate during the first half of the season before hitting .349 over the final two months. His hot bat went cold in October, however, and he was 5 for 41 in the postseason. Baez established himself as one of the top relievers in the Dodgers’ bullpen last season. Fields and Garcia, both right-handed relievers, missed time with injuries last year.